Charles City, Iowa – His agriculture love and county fair passion continues fuels a commitment for Iowa farmers and ranchers. 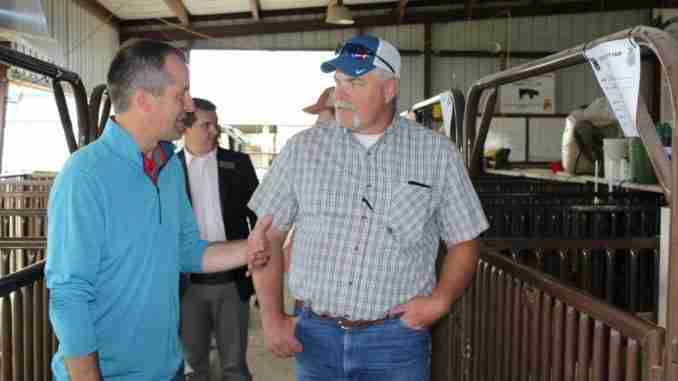 Iowa Secretary of Agriculture Mike Naig visited the Floyd County Fair on Friday- his sixteenth county fair stop of the week. Naig walked the the fairgrounds and spoke with exhibitors and community leaders about the issues facing Northeast Iowa producers. Charles City FFA member Bronson Forsyth says it’s important for to see leaders out in small towns. In his exclusive interview with KCHA and 95.1 The Bull, he says he’s focusing on improving water quality, natural resources and market stability right away.